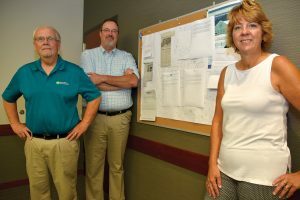 Economic development is a team effort at Central Wisconsin Electric Cooperative. Thank-you notes from grateful local businesses that have been supported by the co-op are posted in the co-op’s board room and in the break room for all directors and employees to share in. Left to right are Mark Forseth, former vice president of member services and economic development; President/CEO Mike Wade; and Brenda Mazemke, manager of member relations. That was roughly 80 years ago, when rural electric cooperatives were just starting to bring long-awaited and much-needed electricity to the countryside, vastly improving the lives and livelihoods of the nation’s rural dwellers.Times have changed. Electricity alone is no longer enough to fuel rural economic growth—today’s small rural communities need a more focused commitment to economic development and a keen understanding of the unique challenges rural communities face. But, where there’s commitment and cooperation, there’s a way, and just as they did in the 1930s, electric co-ops are leading it. Serving 7,950 meters in Portage, Waupaca, Marathon, and Shawano counties, CWEC, headquartered in Rosholt, is in many ways typical of other small to mid-sized electric co-ops. Certainly some of the challenges CWEC faces—slow kWh growth, a high percentage of seasonal members, and lack of a sizable commercial center—are not unusual. Less typical is that in 2001 the co-op invested in a full-time staff member dedicated almost solely to economic development—a former banker, whose expertise in navigating the financial world has been a tremendous asset. Mind you, it’s a team effort—CWEC’s commitment to economic development is woven through the entire co-op. That commitment has paid off for the communities in CWEC’s territory. The co-op makes full use of its partnership with the USDA through the REDLG program, which provides funds for small businesses, non-profits, and public entities. The co-op has secured zero-interest REDLG loans for six large community and commercial projects. Two of the community projects received grants, for which the USDA requires matching funds that can either go toward the project or used to establish a revolving loan fund to help local businesses that might not be a good fit for a REDLG loan. 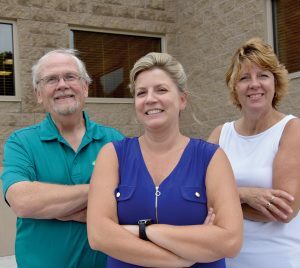 CWEC chose the latter option, channeling $88,000 in matching funds to a revolving loan fund that has spread needed capital to a wide variety of businesses throughout the co-op’s service territory. Since the revolving loan fund was established about 10 years ago, the co-op has awarded loans ranging between $5,000 and $50,000 each to 33 local businesses, for a total of more than $1 million distributed through the revolving loan fund. Combined with the REDLG loans, CWEC’s investment has been leveraged into more than $3.2 million in economic development projects and the creation/retention of more than 200 jobs in the areas served by the co-op. Recipients of loans through the revolving loan fund are wide ranging—a beauty salon, a grocery store, a business that makes excavators, a brew pub, an arts studio, and a doggy day care are among the local businesses that have gotten a financial boost through the co-op. What they share is that all are small businesses and most are family-owned and operated, something CWEC’s President/CEO Mike Wade said is unique about the commercial accounts in a typical co-op’s service territory, and specifically CWEC’s. Such businesses face special challenges in growing, and sometimes even maintaining, their operations. Mark Forseth, who retired in February as CWEC’s vice president of member services and economic development but continues to work on economic development projects for the co-op, said changes in banking laws over the years have made it difficult, if not downright impossible, for some small businesses to get traditional funding. However, the owners’ deeply personal stake in their business is an intangible sort of collateral in itself. With the revolving loan fund, the co-op is able to take a chance on these businesses where a bank cannot. 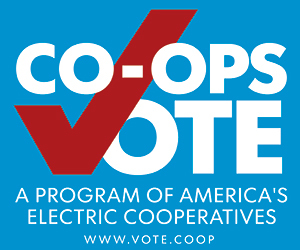 For electric co-ops like CWEC it’s a worthy chance to take because, as Forseth pointed out, collectively, small businesses have a large impact in rural areas. Sometimes simply maintaining a job is big. Wade noted the co-op’s focus is not entirely on job creation. The “trickle-down effect” of this focus, Forseth said, makes attention to the small businesses especially important—if a business owner can remain in the local community, his family will shop in the local stores, his children will attend the local schools, and they can all stay involved in the community’s activities. And families that stay in the area, Wade added, help create a wider employment pool, which helps attract more business. In some cases, the goal of a project is less about job creation/retention and more about filling a need, thereby making a community a more attractive place to live. Wade said a benefit for the co-op is that both Forseth and CWEC’s Manager of Member Relations Brenda Mazemke are very active in their communities. 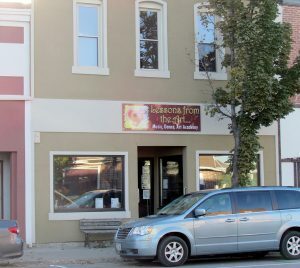 Forseth serves on the Waupaca County and the Wittenberg Economic Development Committees, and Mazemke is active in the Iola Chamber of Commerce. Both are tuned in to the area’s needs and help keep the co-op connected to the local business community. 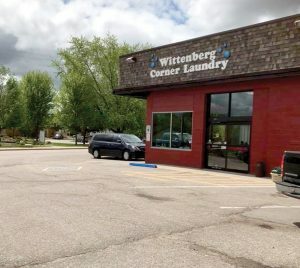 For example, one of the projects that received a loan through CWEC is a Laundromat in the village of Wittenberg, which previously had no such service. CWEC granted another loan to a woman in Tigerton who wanted to open a grocery store in the village, which at the time didn’t have one. 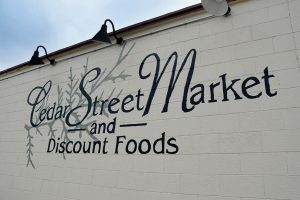 Forseth said she has since been able to expand her business by adding a deli and a bakery section, and Tigerton residents no longer have to leave the village just to pick up a few groceries. “So we got the double benefit of creating jobs and helping a woman start a business and fulfill a dream, plus we got the added benefit of fulfilling a need in Tigerton,” he said. At the other end of the spectrum is Nueske’s, the largest and most recognizable business in CWEC’s service territory. The co-op secured a REDLG loan to help the iconic Wittenberg business through each of two major expansion projects, the latest completed just a year ago. The most recent expansion brought about 60 new jobs, including some professional/management-level positions. That brings the company’s total employment to about 225 and counting, with most employees coming from about a 20-mile radius. Tanya Nueske (center), the third generation of Nueskes to own the Wittenberg business, is shown with Forseth and Mazemke in front of the new addition to the production facility. 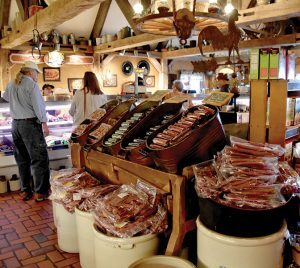 Nueske’s is a nationally known brand, famous for its applewood smoked bacon. Its products are sold wholesale and shipped through online sales all over the country, and the charming on-site retail store brings a steady stream of out-of-town visitors to the area. However, despite its larger scale, Nueske’s operates with many of the same community-based, quality-over-quantity characteristics of many of the smaller businesses supported by CWEC. Tanya Nueske is the third generation of Nueskes to run this business since her grandfather began smoking meats at his home and selling them to friends and neighbors in 1933. Some of the employees are multi-generational as well, and Nueske considers them family. She said it was important to the family that Nueske’s stay in the area and keep contributing to the local economy, and expansion plans were made with that goal in mind. The last two expansions have vastly expanded the company’s footprint. In 2006–07, Nueske’s added 27,000 square feet of space to the production plant. The most recent project added another 100,000 square feet. Through it all, the company has maintained the values on which it was founded. With the REDLG funding secured through CWEC, the company was able to purchase some needed equipment at a much lower interest rate and have it operational quicker than if it had had to rely solely on traditional bank funding, with its complex and lengthy lending structure, said Nueske’s CFO Mary White. ial Park to accommodate the added energy needs that came with the expansion, something other businesses will now benefit from as well. “The co-op has always shown continuous support and attention to us,” she said. The partnership between the co-op and the area business community has been key in solving other related needs as well. For example, a comment about Nueske’s growing employee base quickly led to a discussion with Forseth about talks currently underway within the Wittenberg Economic Development Committee about building rental apartments in the Wittenberg area, providing needed housing options for new employees. Although the USDA program is the heart of the co-op’s economic development efforts, CWEC supports the local business community in other ways as well. 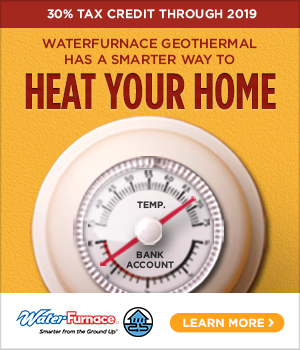 For example, when Forseth or Mazemke hear of a business facing financial challenges, Mazemke might step in to see if the co-op’s energy efficiency programs can help the owner make upgrades that will lower energy costs. Mazemke also serves on the steering committee for Rural Health Initiative. This program helps support the many small family farms in the co-op’s service territory by providing on-site basic health care and screening to farm families that might not otherwise be able to afford it. CWEC also uses its own resources to help promote businesses on co-op lines and make all members aware of the goods and services available right in their communities. The board of directors routinely tours the co-op’s commercial accounts, and local businesses are highlighted regularly in CWEC’s local pages of this magazine. Last year, the co-op invited area crafters and artists to display and sell their creations at the co-op’s Member Appreciation Pancake Breakfast. This year, the craft fair will include vendors from the local business community, including a meat shop and a cheese factory.